Ryan talks to the entire WAR OF THE REALMS creative team about what goes into crafting a massive Marvel Universe-shifting event. Afterwards, we journey back in time to Ryan's C2E2 panel with Marvel Editor-in-Chief C.B. Cebulski! At C2E2 2019, Ryan hosted a panel with guests Nick Spencer and Humberto Ramos, writer and artist of AMAZING SPIDER-MAN: HUNTED, in which they teamed up with audience members for an epic debate pitting animal-themed Marvel characters against each other. Ryan and Jamie discuss Cyclops' list of the X-Men's biggest "problems" with writer Matthew Rosenberg, then talk to AMAZING SPIDER-MAN writer Nick Spencer about his new "Hunted" story arc, available now! Ryan and Jamie discuss the weird history of Marvel's funny cartoon animal comic book past, and its future with John Cerilli and Frank Tieri's upcoming ZIGGY PIG - SILLY SEAL COMIC #1! Ryan “Agent M” Penagos is joined by Editor-in-Chief C.B. Cebulski to talk about four Atlas-era 1950s comics, including TALES OF SUSPENSE and TALES TO ASTONISH issues 1 and 9, featuring art and stories by Steve Ditko, Jack Kirby, John Buscema and more! Ryan and Jamie recount the coolest merch on display at 2019's New York Toy Fair with Jesse Falcon, and then chat with actor Sofia Wylie about her "Marvel Rising: Heart of Iron" character Riri Williams, aka Ironheart! Marvel's "Wolverine: The Lost Trail" Coming March 25! Ryan and Jamie talk to Conan editor Mark Basso about SAVAGE SWORD OF CONAN and the character's rich history. Afterwards, Ryan talks to Kinda Funny's Greg Miller about his favorite Marvel games and how he grew into the role of an Internet personality. Ryan and Jamie are joined by editor Wil Moss to introduce the upcoming WAR OF THE REALMS event. Afterwards, they're joined by Patti Murin, who plays Anna in the Broadway production of Frozen! Ryan and Jamie discuss The Invaders, one of Marvel's original Super Hero teams, before talking to pro-wrestler Taz about his glamorous life as "The Human Suplex Machine." 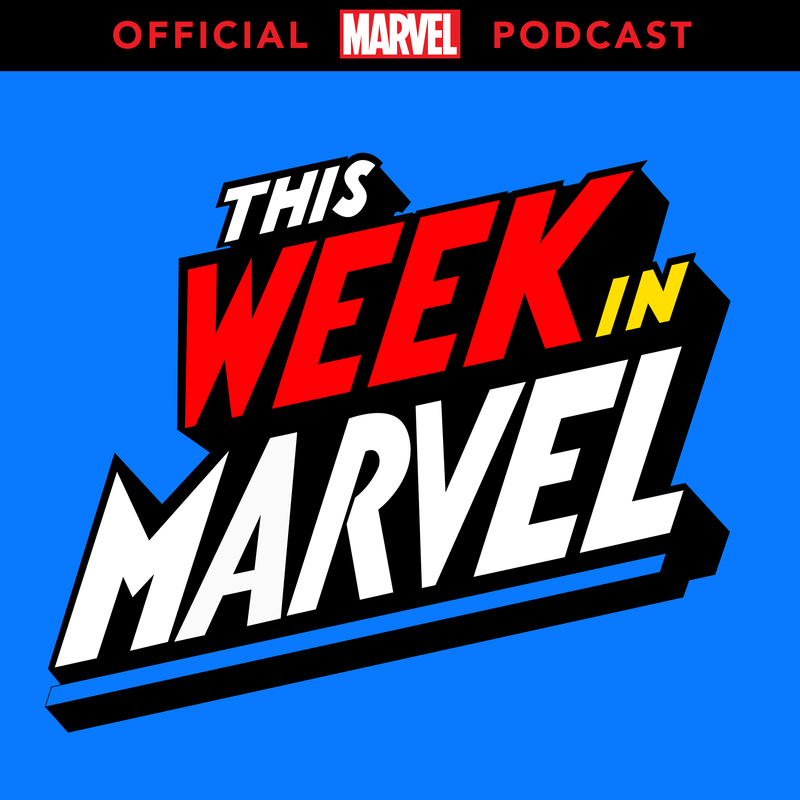 Ryan and Jamie join the fun with FANTASTIC FOUR writer Dan Slott talking the fearsome antagonist Doctor Doom, and what might come next in his run of the classic Marvel comic series.